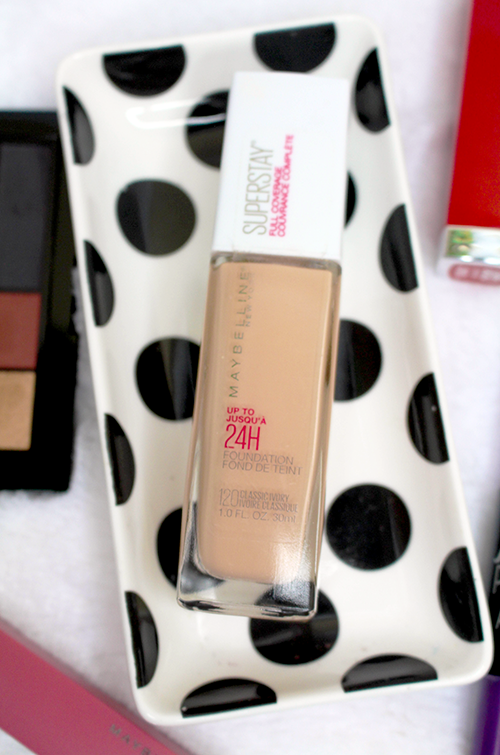 Recently I was gifted a bottle of the Maybelline SuperStay Foundation to review. I don’t know by who but I do know that it was NOTInfluenster *shrug*. 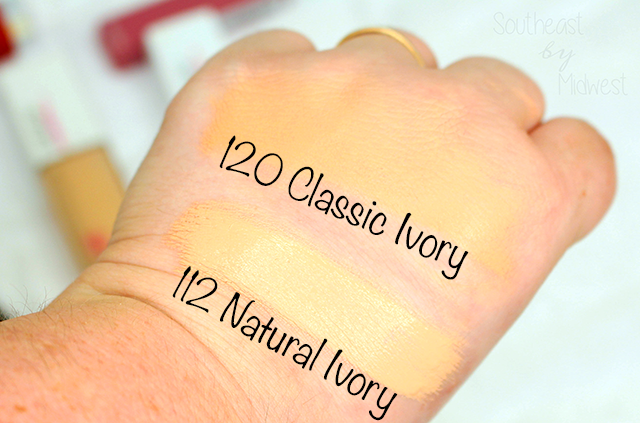 Anywho, before that I had purchased a different shade of the Maybelline SuperStay Foundation that I intended to review for you all but never got around to it. 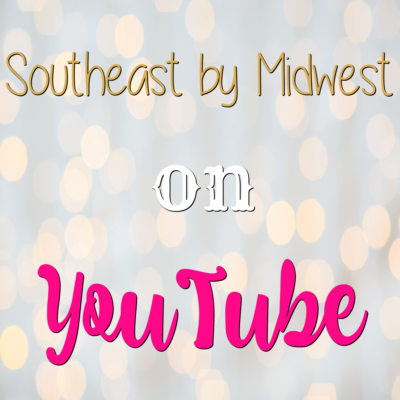 So I figured now would be the perfect time to share my thoughts on the Maybelline SuperStay Foundation For my thoughts, check out the video below or just keep scrolling. 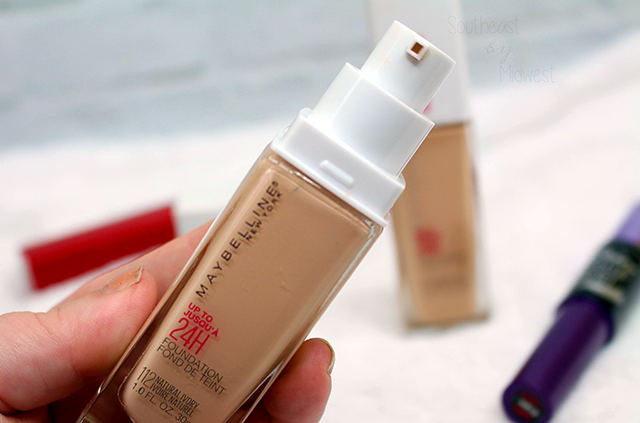 The Maybelline SuperStay Foundation comes in a 1 oz. bottle and retails for around $11.99 and can be found at Ulta, your local drugstore, or where ever you purchase your drugstore makeup but it can be very YMMV. 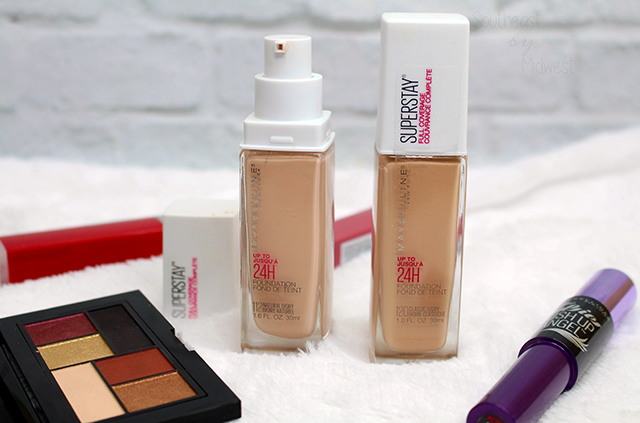 There are 28 shades of the Maybelline SuperStay Foundation, however, 8 of those shades are exclusive to Ulta! Now that we’ve laid out exactly what shades I have on hand and how they work on me match wise, let’s talk about how they work for me product wise. 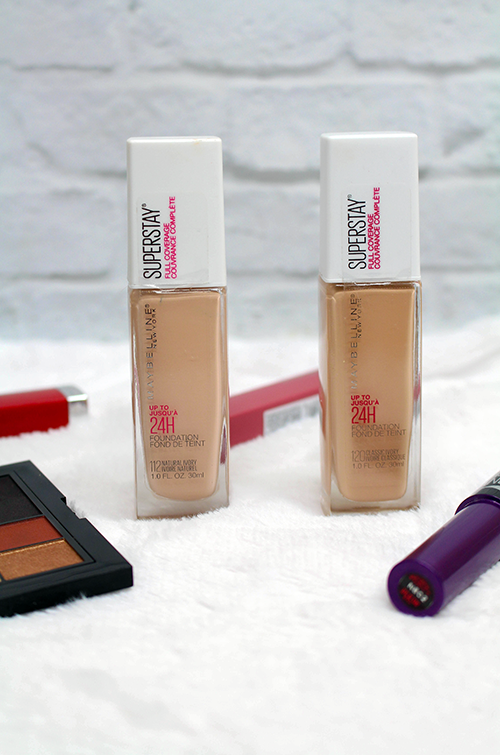 I told you the claims, and they’re listed at the top for easy reference, but as a quick refresh: the Maybelline SuperStay Foundation claims to be light weight, full coverage, long lasting, oil free, and non pore clogging. I have to say that after testing it out multiple times, under different weather conditions, and with different primers and setting sprays I feel safe in saying that this is hands down one of my favorite foundations! 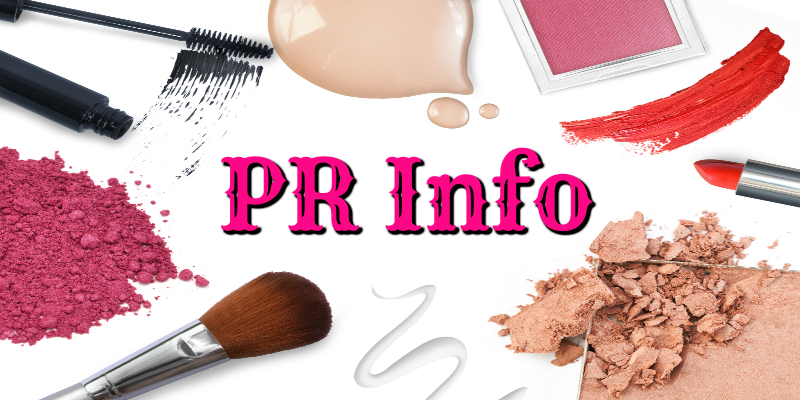 The coverage really is full-coverage, and it’s buildable which is like WHOA!, but that full-coverage doesn’t look cakey on the skin nor does it feel heavy during wear. As a matter of fact, it is so light weight on the skin that I would often forget I was wearing it. In regards to the longevity, I have dry skin so I didn’t have to worry about oil breaking down the foundation. I was able to wear it for a solid 9+ hours and the only places I had issues were where my glasses sit, but I have that problem with EVERY foundation it’s the life of a glasses wearer, and one of the days I had some nose issues and had to use tissues a lot so there was some wear around the edges and tip of my nose. Aside from those though it looked as good as when I put it on! Now let’s talk about that non-pore clogging bit. If you don’t use a primer this foundation WILL sit into your pores, however, the reason they can call it non-pore clogging is because when you remove the foundation at the end of the day it comes out of the pores very easily and does not leave any behind. HOWEVER, for that to be the case you HAVE to remove your makeup at the end of the day and use a cleanser. If you don’t do those two things and want to come back and complain that it clogged your pores, well that’s on you and not doing what you should be doing not on me *shrug* My only actual complaint about this foundation is that it oxidizes like a BEAST and I’ve not see a lot of people mention that but it does it. That being said, even though it oxidizes I feel like its strengths outweigh this one complaint. 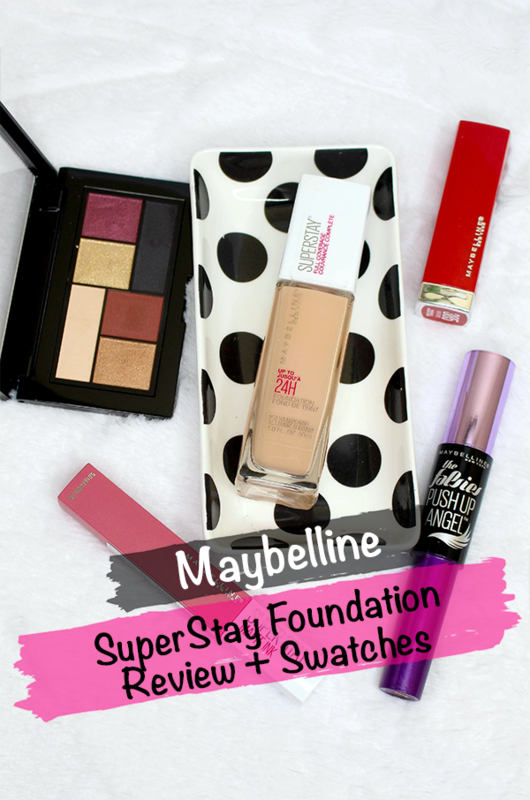 Ultimately, I feel that even with the oxidizing that the Maybelline SuperStay Foundation is a for sure pick up. I just highly suggest that you pick it up ahead of any events that you might be wearing it for so that you can make sure to compensate for the oxidizing. For me, the 120 oxidized slightly which is what made it a hair to dark, however, the 112 oxidized so much and with that yellow undertone I looked like a sickly Oompa Loompa. 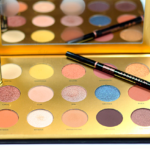 With this one my suggestion is to pick it up BUT pick it up from a place that you know will let you exchange it if you wind up with a shade that oxidizes a bit to much for you! 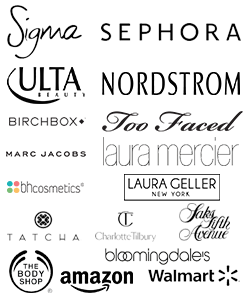 Don’t forget to signup for Ebates to get 4% cash back when shopping at Pixi Beauty and 1% cash back when shopping at Target. Make sure to follow my beauty board on Pinterest! I love your video. I have been looking for a full coverage foundation. It does have to be easy to apply and you made it look THAT easy! Do you like the variety of shades that they had? I think that is very useful as we are not all the same shade of ivory! Thanks for taking the time to do a thorough review. P.S. Glad you loved it so much. I love the looks of this foundation. I need to check it out because I have never been able to get a nice clean look on my face and this may be the way. I wish I knew how to apply it the right way, that is the next step I think. Maybelline has been around since I was a little girl. I remember wearing everything they sold. Great company!! Great review! I just started wearing makeup (I know I am a little late) and I am always looking for something that will fit my complexion perfectly. I love the fact that it doesn’t cake and works well with different temps. This is definitely going on my list.